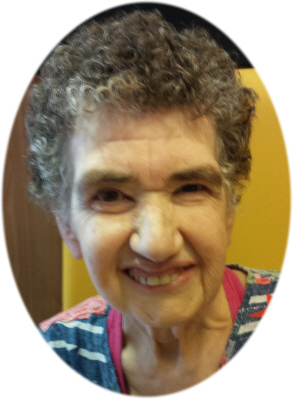 Susan Lynn McIntosh age 60, of Hubbardston, MI, formerly of St. Johns, passed away Saturday, November 11, 2017, at Gibbs Adult Foster Care, Hubbardston, MI. Funeral Services will be held at Smith Family Funeral Homes - Osgood Chapel, St. Johns, MI, at 12:00 P.M. on Tuesday, November 14, 2017. Burial will take place at Oak Grove Cemetery, St. Louis, MI. Visitation will be held on Tuesday, November 14, 2017 from 11:00 A.M. until time of the funeral service at the funeral home. Susan was born in Alma, Michigan on December 26, 1956, the daughter of Harry A. McIntosh and Phyllis (Bishop) Eldridge. Susie was a happy soul. She lived a quiet simple life and she always had a smile on her face. To know Susie was to love her. She resided most of her life in St. Johns, moving to an AFC home in Hubbardston, MI after her mother passed away. She is survived by her brother Patrick and Maria McIntosh, of Ionia, MI. She is also survived by nephew Joseph McIntosh and many aunts, uncles and cousins. She was preceded in death by her parents, Harry and Phyllis McIntosh, her brother Harry (Junior) & Linda McIntosh, and niece Kristina McIntosh. Online condolences can be sent to www.smithfamilyfuneralhomes.com. The family is being served by Smith Family Funeral Homes - Osgood Chapel, St. Johns, Michigan.